Srinagar, Apr 17 : Reacting over highway ban and thrashing of Sub District Magistrate Dooru, former chief minister and Peoples Democratic Party (PDP) president, Mehbooba Mufti Wednesday said that ‘jungle raj’ was prevailing in the Valley. She said that fear has gripped among the people of Kashmir at present over the accession of Jammu and Kashmir union of Indi due to such kind of orders. 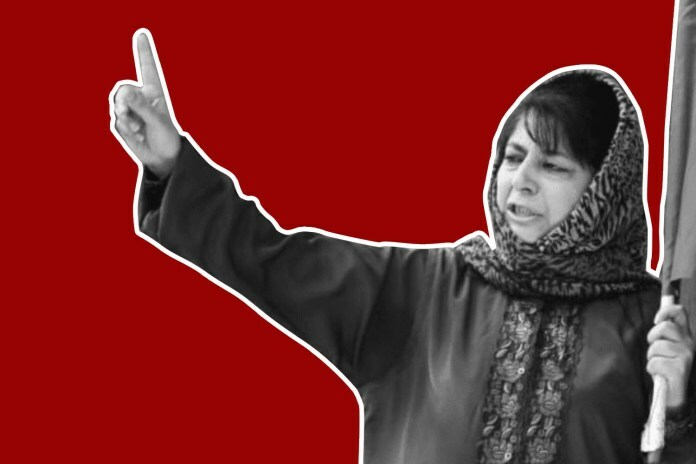 Mehbooba said it doesn’t seem that Sheikh Abdullah and Maharaja Hari Singh had acceded with today’s country. PDP chief further stated that atrocities are being committed on Kashmiri to suppress them, therefore a fear has gripped among the people, who believe the Country, JK had acceded to, was different as compared to the present. She further stated that fruit growers and dealers are suffering huge losses due to the ban on highway while as a death has also occurred due to such ban. “I don’t know what Government of India and Governor of Jammu and Kashmir want to do with Kashmir by issuing such orders,” he added.